iOS is the only modern smartphone operating system that relies on just one button; Android and Windows Mobile both offer a back button, though many devices make these virtual. It’s been like that since the beginning, and we all became quickly accustomed to it. But Jobs didn’t think that would be the case. According to The One Device: The Secret History of the iPhone, a new book by reporter Brian Merchant, the former Apple chief believed that the device also needed a back button for ease of navigation. Chaudhri argued that a back button could also complicate matters, and eventually, Jobs agreed. “I won that argument,” Chaudhri told Merchant. 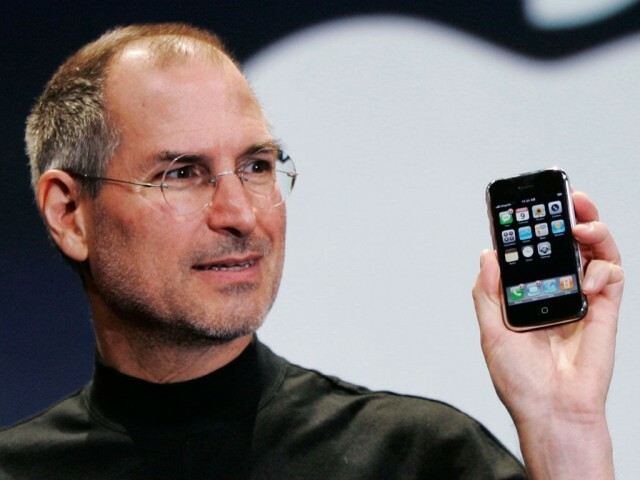 This isn’t the first example of Jobs being persuaded to change his mind on ideas for the original iPhone. Merchant’s book reveals how the device was very much a team effort, and not the result of Jobs’s genius alone. The One Device: The Secret History of the iPhone is available today in the U.S., and releases on Thursday, June 22, in the U.K. You can purchase it now in digital form or as a paperback on Amazon, but beware that the reviews are a mixed bag. “I missed the parts of the story that Merchant left out,” writes Jefferson Graham of USA Today. “He decided not to focus on the birth and growth of Google’s Android operating system, which now has an 85 percent market share, or the rise of Apple’s chief rival Samsung, and the Galaxy S line of smartphones. “But when he gets back to the actual iPhone’s creation, Merchant tells a far richer story than I — having covered Apple for years as a journalist — have seen before,” writes Lev Grossman of The New York Times. Stories within the book have also been called into question already, like the one claiming Phil Schiller wanted the original iPhone to ship with a physical keyboard like those found on BlackBerry devices and other smartphones of the time.